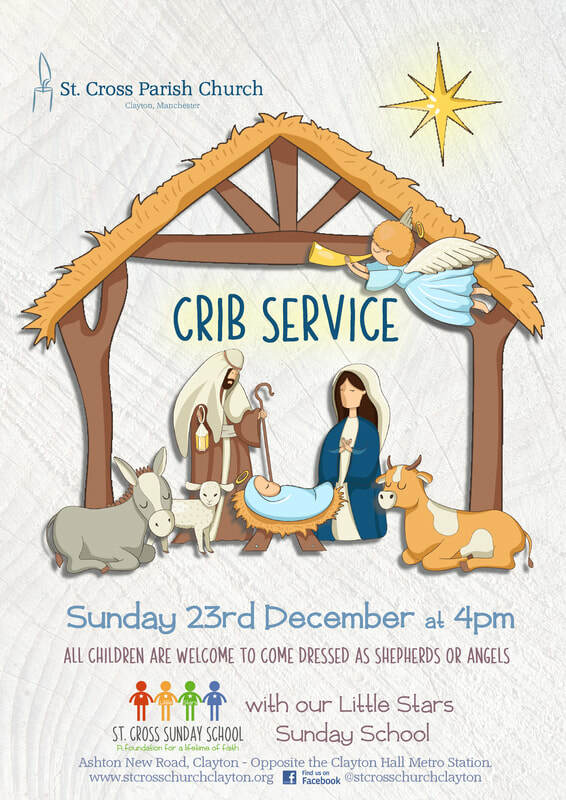 At 4pm on Sunday 23rd December our St. Cross Little Stars Sunday School will be performing a Nativity Crib Service in church. You'll hear the Story of Christmas, narrated by our Sunday School Leaders and acted out by the children, with Carols and Christmas songs for all ages! !